By now, the hype train surrounding Bungie's next IP Destiny is in full effect. News has been trickling in over the last few months since the epic project has been released, but we were treated to the biggest reveal at E3. 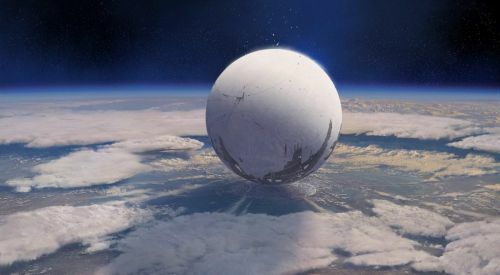 During the Playstation Conference on the first day of E3 this year, a rather long segment was revealed for Destiny using the Playstation 4. Our own Jason Love covered the trailer in-depth yesterday. The trailer was nothing short of amazing for the cooperative crowd - featuring an over twelve minutes of action-packed gameplay. Probably the most exciting thing about the trailer was the ways in which cooperation was used as a basis for the mission at hand. The initial fire team had to work together in order to take down threats, and they were rewarded with loot for their efforts in the form of a gun called the "Thunderlord." Towards the end of the segment, the two members of the fire team were joined by a third player. Not more than a minute later, a massive ship was seen flying overhead, with a message that popped up saying "Joined Public Event." Suddenly, another fire team appeared, and together they had to take down a massive robot-boss enemy. It was very impressive to see the teamwork in action, and how it was needed to take down a mutual threat. Enough words, take a look at the full twelve minutes of footage straight from E3 below.